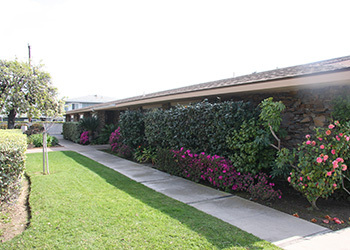 Mesa Verde Post Acute Care Center is a premier skilled nursing facility in Costa Mesa, California. We provide state-of-the-art rehabilitation services and around the clock skilled care for Orange County and surrounding areas. At Mesa Verde Post Acute our mission is to provide skilled nursing and rehabilitation services with respect and concern for each individual. We work with local physicians and other medical professionals to establish programs and address patient needs, including cardiac and orthopedic rehab, respiratory therapy, trach care, neurotrauma, stroke recovery, and wound care. Our friendly and compassionate staff makes the difference at Mesa Verde Post Acute, paying attention to the smallest details for every resident. We would love the opportunity for you to come see what sets us apart. Call us today to schedule a tour of our facility. Non-Discrimination Policy: Mesa Verde does not discriminate against any person on the basis of race, color, origin, disability or age in admission, treatment or publication in its program, services and activities or in employment. For further information about our policy, please contact the Administrator.